Claire Lound, participating teacher at Furzedown Primary School. Jasmine the kitten has been cat-napped, and Varjak Paw himself contacts the class to ask for their urgent help. Alone in a small room, Jasmine learns to type, and communicates with the pupils by email. Over six interactive episodes the class must work together to help Jasmine escape and find her way back to Varjak. A final twist in the narrative brings two live performers to the class to deliver a dramatic finale. Linking closely to the Key Stage 2 curriculum, A Cat Escapes is Coney’s flagship Adventure in Learning and has been enjoyed by more than 1500 primary school pupils across the UK. Based on the award-winning Varjak Paw novels by S. F. Said, the adventure casts pupils as heroes in an engrossing, responsive narrative that motivates them to learn. 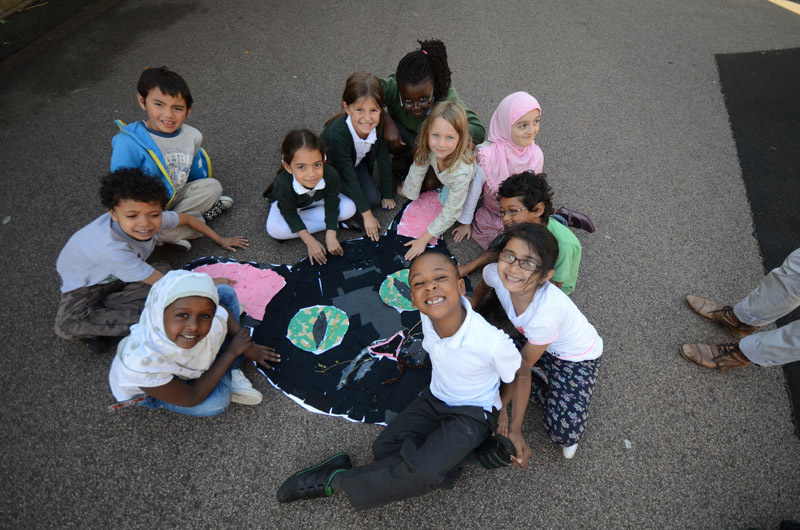 In Autumn 2013 we worked with two Kilburn primary schools and Creativeworks London to measure the academic impact of A Cat Escapes. The project ran with Undercurrent Festival in Shoreham and Birmingham Rep Theatre in the Midlands in Spring 2014. This six week project begins when a mysterious package arrives in the classroom with a call to adventure from Varjak Paw himself. The story unfolds across six episodes, each built around a different curriculum topic and using a blend of theatre, email and Royal Mail. Pupils engage with A Cat Escapes as a piece of storytelling whilst simultaneously completing many of their core learning objectives for the term. The responsive structure of A Cat Escapes allows specific elements to be tailored to the particular needs of classes and individuals within them- perhaps drawing on a less confident pupil’s specific skills to weaving a school trip into the adventure. We work with participating teachers in advance to explore techniques for continuing professional development, including teacher in role and narrative-based learning. Tassos Stevens and Tom Bowtell speak about A Cat Escapes at the SameAs Meetup: Education, 2011. A Cat Escapes was created in co-production with Battersea Arts Centre. For further information for venues or schools, email knock@coneyhq.org. Year 3 teacher, Brighton, 2012.